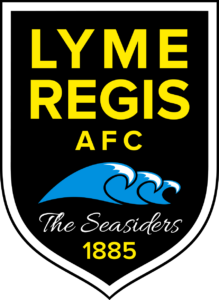 LYME Regis Reserves, pressing for promotion from Devon & Exeter Division Four, came away from league leaders Alphington 3rds disappointed that they did not take anything from the game, especially as they took an early lead through a delightful Dan Boot free-kick. The Ressies, sitting comfortably in third place in the table, conceded two minutes before the break and this proved pivotal in Alphington’s second half performance. A mix-up between centre back Dominic Rowe and keeper Robbie Fowler gave the league leaders a 2-1 advantage leaving Lyme in search of an equaliser. Several good chances fell to in-form striker Shane Featherstone late in the game, but the Seasiders were unable to capitalise. The introduction of new signing Nathan Wormsley from Millwey Rise will prove a massive boost to the Seasiders in their search for promotion from Division Four. The Reserves remain in third place behind Alphington 3rds and Elmore 2nds, but they trail by 11 points over the league leaders with a game in hand. Whilst disappointing not to have closed that gap at Alphington, this game did demonstrate that the Reserves, managed by Rodney Rowe and Luke Clifton, two highly respected former players, can compete with the best teams in the league and that their promotion ambitions, having started life in Devon & Exeter football in Division Seven, are achievable. Wormsley is likely to make his debut on Saturday (January 17) when the Reserves are at home to Winkleigh who are sitting in the bottom half of the table.